We are now at the third Sunday of the Capital Campaign for Our Church Home and pledges have already started to come. With the pledges that came in last week plus previous money, mainly from Mark’s concert, we now have pledges and cash of $67,500. This is really exciting news. 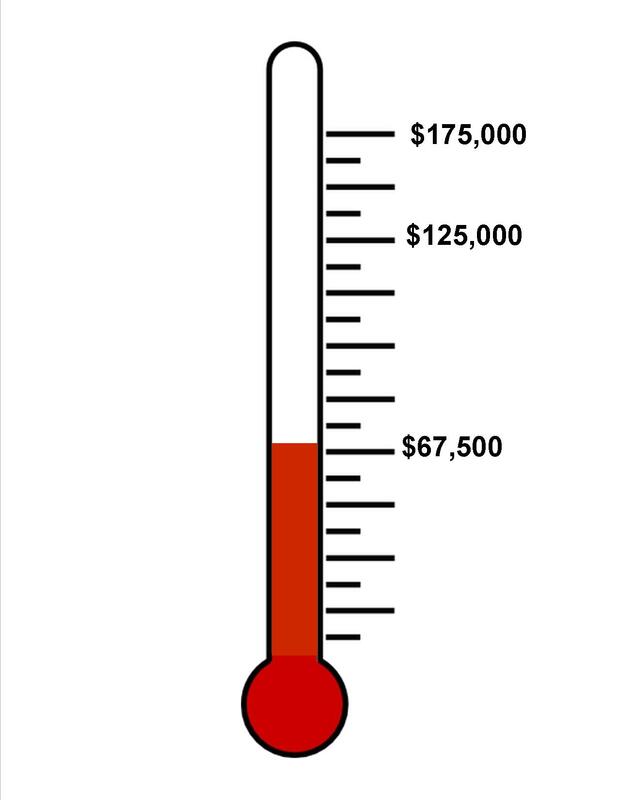 It brings us just over half way to the cost of the roof repair and just short of 40% of the way to our total campaign goal. This is an excellent start. You can start paying your pledge any time now. You don’t have to wait for the end of the campaign on June 11. If you’re going to be paying through your envelope, put the amount on the Special Offering line and write in “Capital Campaign” so that the counters know where to designate the money. 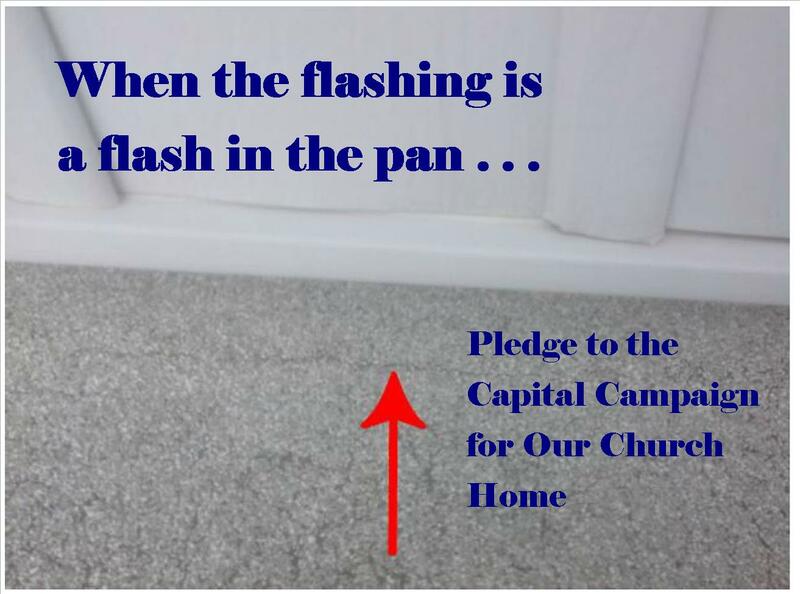 If you are going to pay by pre-authorized givings and you want to keep track of that separately from your regular PA givings, you can request the diocese to take the capital campaign money out on a different date. We will accept pledges from anyone, even those outside the church. So if your rich Aunt Matilda would like to make a donation, we would be happy and grateful to receive it. We are continuing to seek volunteers to pick up pledge envelopes on the week of June 11-17 for people haven’t brought them in by that Sunday. You won’t have to make a sales pitch. You won’t have to review the donor’s pledge. Just know the basics of the campaign as outlined in your package. You’ll get a list of parishioners to call and a week to go out and pick up the envelopes. We need about 15 volunteers to make sure it’s a light load for everyone. If you can help, please see Deb Adams. We have been emphasizing that these repairs are not being done for the sake of the building itself. They are being done in order to shelter and keep safe the ministries of the church. Our stewardship of our building can’t be separated from our love and service to God. Each week of the campaign, we’re going to spend a couple of minutes during this time to explain some of the repairs that are needed and then hear about a ministry connected to that area of the building. This week I’m going to review the work that needs to be done directly over where we’re sitting today. 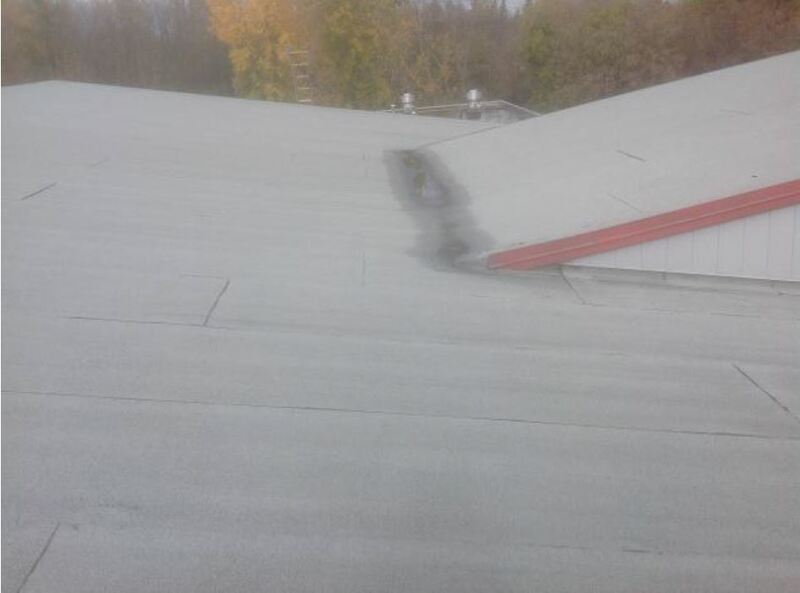 The granular protection is wearing away, leaving the sublayer exposed to harmful UV rays, and damaging the flashing and overlap seam where the two slopes come together. 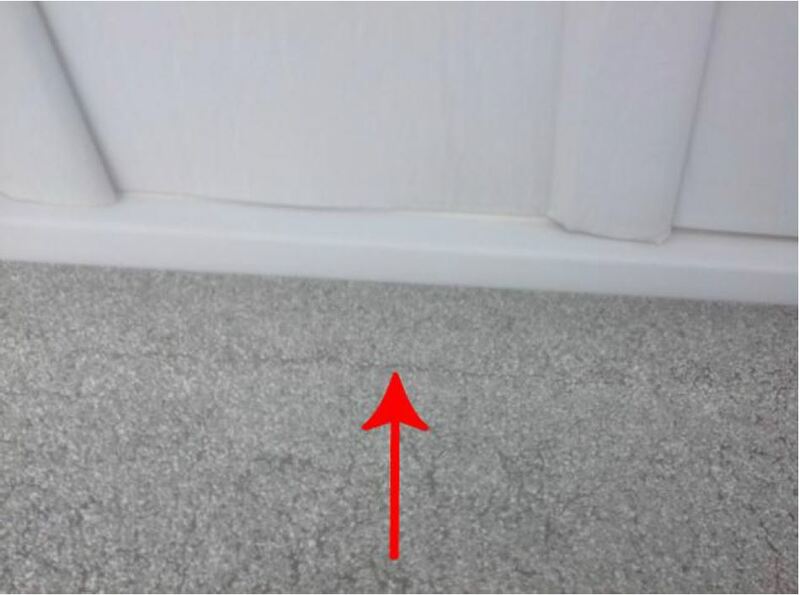 There are several spots where sealant and caulking have become brittle or weren’t applied properly. This could allow water to get in and damage the insulation under the roof. 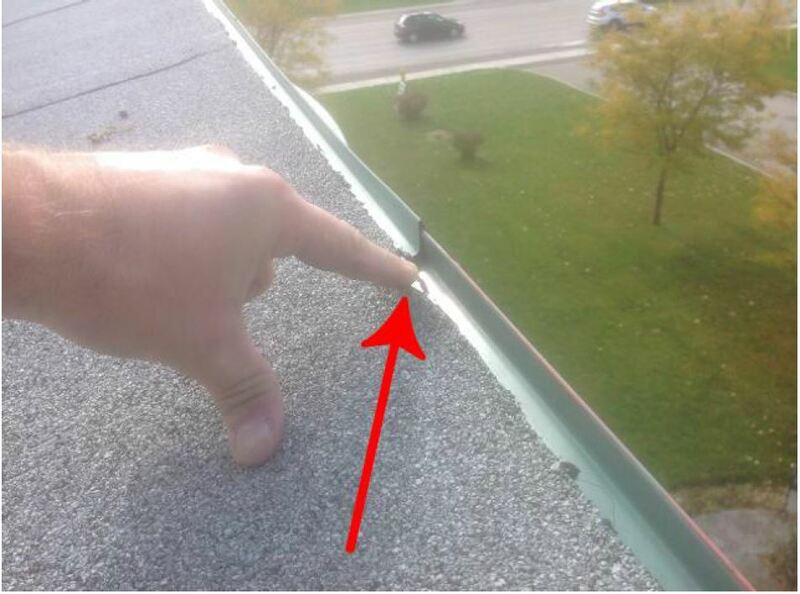 In another place where vertical and horizontal surfaces meet, a 90-degree flashing was used instead of a 45-degree one, which would have allowed better expanding and contracting of the two surfaces as the seasons change. Worship of God is central to the life of the church. Our worship space is beautiful, bright, and flexible, allowing us to follow Anglican traditions but also stretch ourselves. So Mary is going to talk to you about a worship activity. It’s not something that happens entirely here in this space, but it is related. I have been asked to speak about this service that me and a few others do that indirectly involve this wonderful worship space that we call our Sanctuary. We are known as L.E.M.’s which stands for Lay Eucharistic Minister. We have been doing this ministry since late 2002 which is shortly after we moved into this building. We were asked by Rev. Canon Janet Griffith and approved by Bishop Bruce Howe. Our task is to take communion to shut-ins. But we do much more than that. We take the church to them. For the most part they are interested in what is happening here at Ascension and like to talk about people that they know here and were long time parishioners with. We usually start with a little visit and then go into the communion service, and even though some of them have dimension, as soon as we start the service they quiet down and take part as they never forget this part of their religious life. They are always happy and grateful for the visit and the communion. How this works is we ask the office administrator to put in the bulletin the name of the person we are taking communion to, so that they can be prayed for. 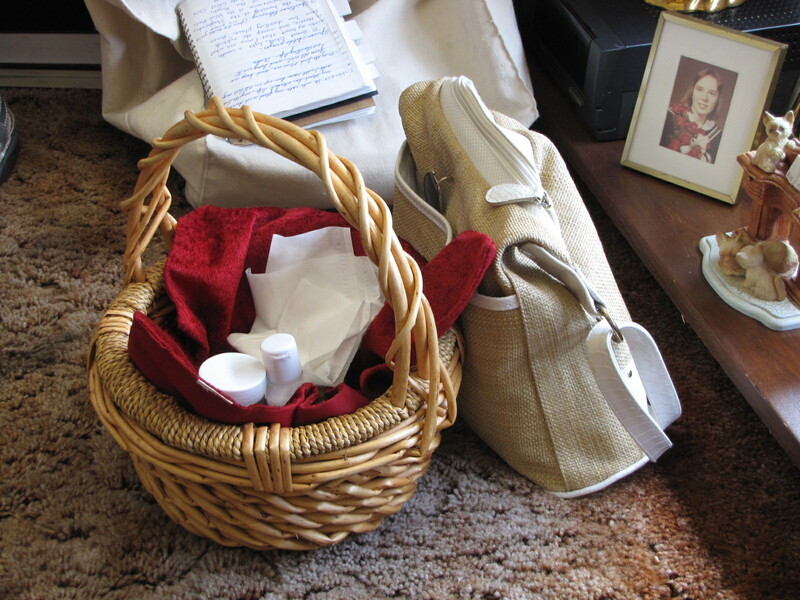 This information is then passed onto the Chancel Guild who prepare our baskets and put them on the altar to be blessed. At this time I would like to thank the ladies for doing this for us as sometimes we give them very short notice. For the most part the parishioners that we visit are long term clients that are either in Nursing Homes, Retirement Homes or House bound. We also visit those who have a temporary reason for not being able to attend church – either because of an operation or an injury that restricts them from leaving their home or hospital bed. We also ask if they would like a visit from a clergy and if so we pass this information on. At times Rev. June has accompanied me on visits as well as her asking me to accompany her. Over the years we have become very attached to those we visit. For my part, most of them were virtually strangers to me when I first started taking them communion, but after a few visit we became very close. Unfortunately we have lost a few as they have aged and departed this life. This is sometimes difficult to deal with but at least we know that they no longer suffer and are in a better place. When I was first asked to become an L.E.M., I said that I didn’t think this was something that I could do but Rev. Janet asked me to try it first before I turned it down. I have to thank her for her persistence as I must say that for all the things that I do at Ascension, this is by far the best thing I do and the most rewarding.